Fulham registered 1-0 victory over Stoke City in the Barclays Premier League match played on Saturday February 23, 2013. Fulham’s Dimitar Berbatov did a magnificent goal just before the half time, in the 45th minute of the match, to give the 1-0 lead and later on turned out to be a match winner. Inspite of this victory, Fulham still stays in the 11th position with 32 points and just one position and point below the Stoke City which is at 10th position with 33 points. This victory will surely give a boost to the Fulham team and some reason to cheer for the fans and at the same time Stoke would look to improve the game and win the upcoming matches. 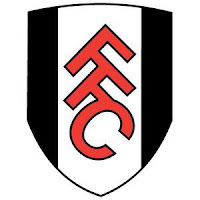 0 Respones to "Fulham register victory over Stoke City with 1-0"